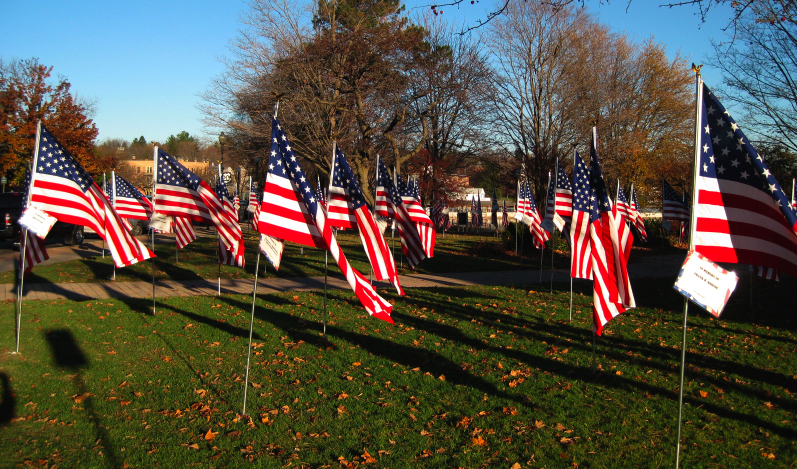 I was driving along Route 20 last Thursday and stopped in Skaneateles to observe a beautiful display of American flags in the park, by the lake. 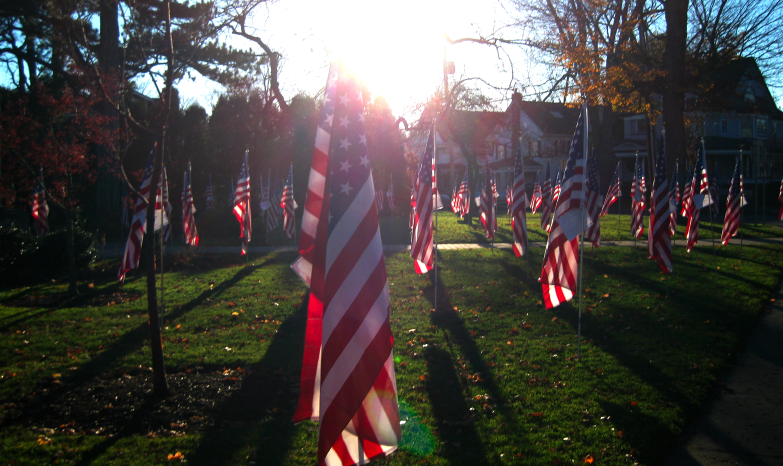 It was an unusually sunny day, as I wandered through taking pictures, I thought about my Dad and the role he played in serving his country. “When you are drafted in to the armed services, you start at the bottom. It doesn’t matter whether you are rich or poor, whether you have a college education or didn’t finish the fourth grade; you all begin in the same category. … We arrived at Camp Polk Louisiana, the base of the 3rd Armored Division, and located in what appeared to be a desert, because tents where we were to be housed, were set up on sand. … Thus began our 3 months of basic training with a rigorous schedule involving marching, drill, aircraft identification, health prevention measures, rifle assembly and numerous other military details. The routine was rigorous because it included calisthenics and forced marches with full packs, all in order to toughen us up. My Dad never ended up going overseas, but he served several years in the Army and continued for 20 years in the Reserves. My Army experience consisted of a set of military bunk beds with army-issue scratchy blankets that my brother and I shared during summers, growing up on Skaneateles Lake. When we left for college or camp, we got an army-issue trunk to pack — rather than the standard Samsonite other kids wheeled around. And I STILL have Dad’s standard-issue, olive green coveralls which he wore to do yard work for 50 years. I love them. “World War I – known at the time as “The Great War” — officially ended when the Treaty of Versailles was signed on June 28, 1919. However, fighting ceased seven months earlier when an armistice, or temporary cessation of hostilities, between the Allied nations and Germany went into effect on the eleventh hour of the eleventh day of the eleventh month. 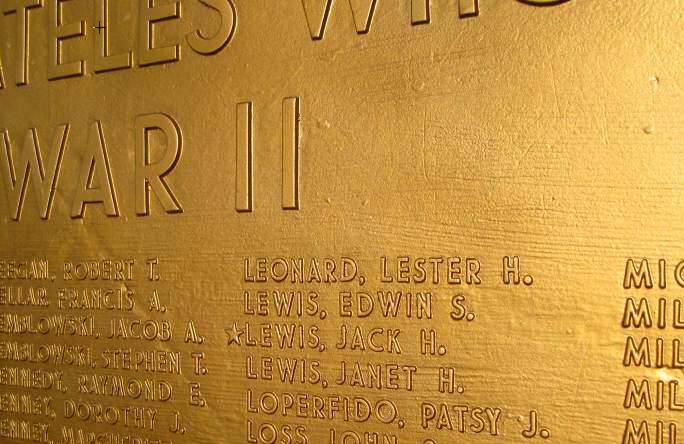 For that reason, November 11, 1918, is generally regarded as the end of “the war to end all wars. I am glad I had the chance to reflect on my good fortune. Entry filed under: Holidays, Skaneateles Lake. 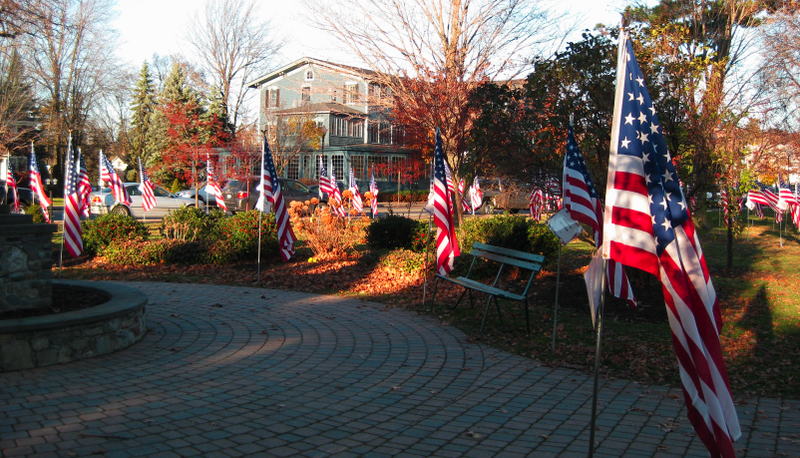 Tags: finger lakes, fingerlakes summer rentals, Route 20, Showell Park, Skaneateles, Skaneateles Lake, upstate new york, Veteran's Day. Grateful to be able to vote today. Thankful for those who fought to preserve that right.